The new footpath for the garden. Looking down on the additions to the old patio. Wednesday, I was due a 10-minute easy run and trotted through the village, covering just a little more distance than the last time. Friday was a 15-minute run, but the morning had been disrupted by a delivery and we then spent the afternoon in the garden, laying paving stones, so I was too knackered to run afterwards. 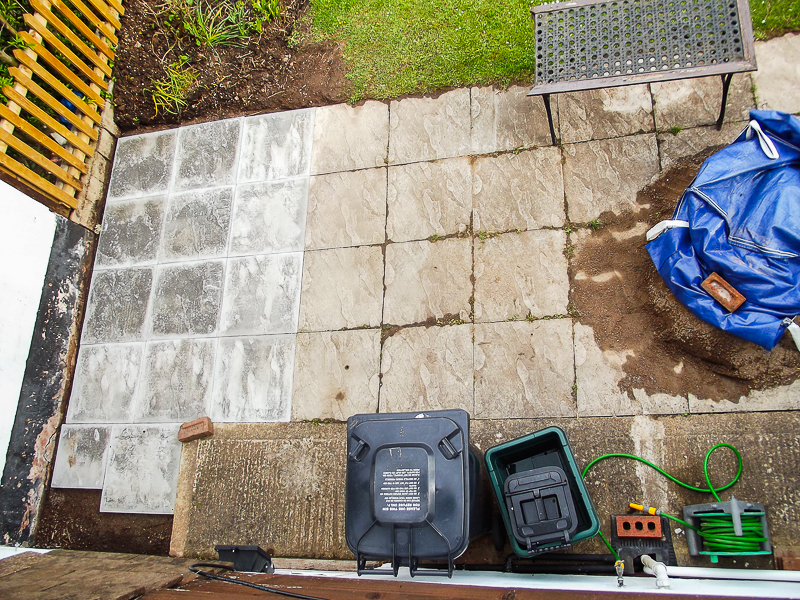 Mind you, I’d expended a good deal of energy lifting and placing the paving slabs and preparing the ground for them. Today, Sunday, I was due another 15-minute run, so I did 20 minutes in the sun-dappled forest as a sort of compensation for the lost Friday run. Then, afterwards, we laid the rest of the paving slabs. 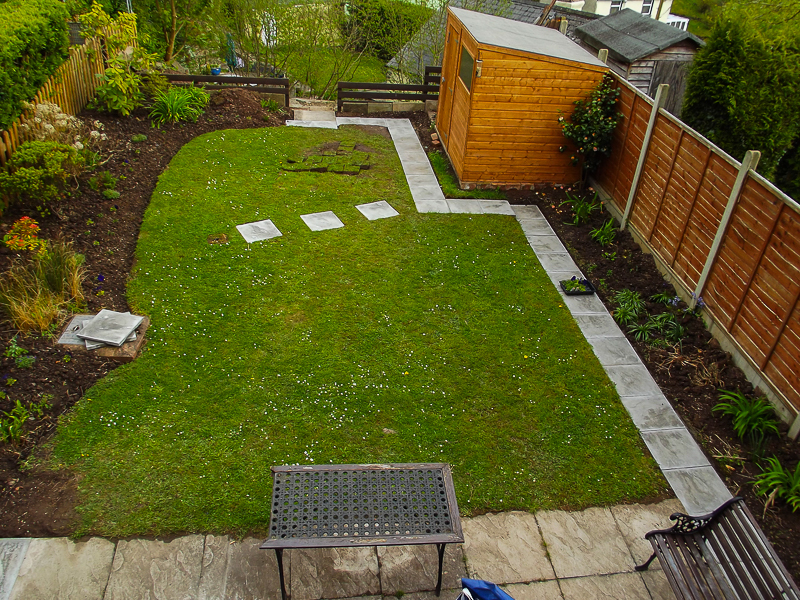 The picture above shows the current state of the garden with the new slabs down for the path and at the end of the existing patio. That corner is a real suntrap, so we’re getting it prepared for relaxing once we’ve got the upper garden as we want it. The book is now with the beta readers. I’m awaiting their verdicts and any suggestions before I make any necessary changes and then I can format the work and actually get it published. Watch this space. On another front, my publisher, Fantastic Books Publishing, launched my revised Scifi novella, The Methuselah Strain, yesterday. That kept me quite busy. But I’m very pleased with the result. I blogged about it yesterday: for those who are interested in science fiction, you’ll find all the information in the archive at the right. Enjoy the read. And here’s a link to the publisher’s store for those who’d like to go straight there. To contribute to my fundraising efforts for Action For M.E., please click this link and take the easy steps to make a donation. Thank you. The Promised Link is Here!